Every couple has disagreements, but what happens when recurring conflicts start to pull your relationship apart? Do you lie awake hoping that your spouse will eventually see things your way, or rehashing the evidence that you're right? Demand some immediate changes—or else? 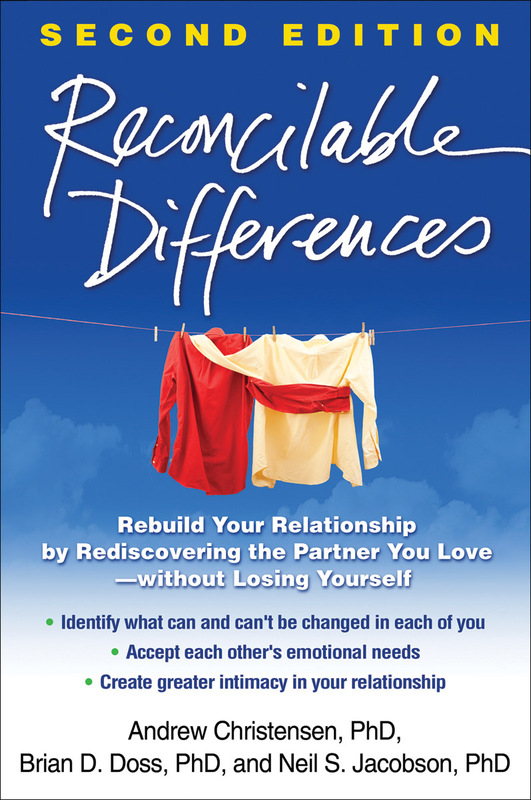 This popular, science-based guide offers powerful solutions for couples frustrated by continual attempts to make each other change. True acceptance may seem difficult to accomplish, but the clear-cut steps and thought-provoking exercises in this book can make it a reality. You'll learn why you keep having the same fights again and again; how to keep small incompatibilities from causing big problems; what communication strategies really work to resolve conflicts; and how to problem-solve and make positive changes—together. Updated throughout with new research, practical tools, and examples, the second edition features a new chapter on mindfulness. Mental health professionals: visit http://ibct.psych.ucla.edu to learn about using this self-help guide as an adjunct to therapy.